IEEE International Conference on Computational Photography (ICCP) 2016. Appeared in ICCP '16 oral session. In this paper, we describe a supervised four-dimensional (4D) light field segmentation method that uses a graph-cut algorithm. 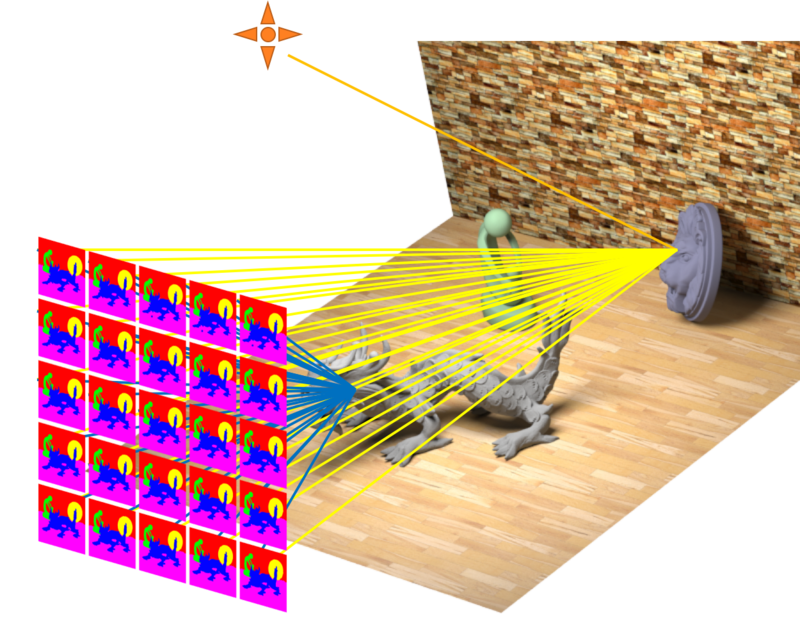 Since 4D light field data has implicit depth information and contains redundancy, it differs from simple 4D hyper-volume. In order to preserve redundancy, we define two neighboring ray types (spatial and angular) in light field data. To obtain higher segmentation accuracy, we also design a learning-based likelihood, called objectness, which utilizes appearance and disparity cues. We show the effectiveness of our method via numerical evaluation and some light field editing applications using both synthetic and real-world light fields. Your browser does not support HTML5 video. You can download .mp4 file from here. because PowerPoint file contains many movie contents. In Proceedings of IEEE International Conference on Computational Photography (ICCP), pp. 54-61, 2016.